Andrew Hansen is a member of comedy group The Chaser. He’s written, composed for and starred in award-winning Australian TV, radio and stage shows since 2002. With Jessica Roberts, he’s co-author of the junior fantasy series Bab Sharkey and the Animal Mummies. 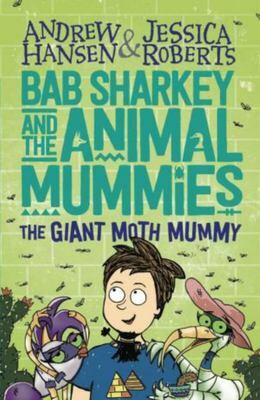 Andrew and co-author Jessica Roberts have delighted children around Australia with their hilarious books about animal mummies. Their live presentation features suspenseful readings, daft songs, live illustrations, and glimpses into the strange customs of ancient Egypt.